Now we are going to establish your inner truth and backbone-so you will actually feel a solid sense of self based on your truth. From this moment on, whenever you notice any form of abusive behavior, I ask you to set a clear, definitive, and healthy boundary around yourself. Setting that boundary will allow you to move away from the source of abuse and to never allow abuse into your life again. The scariest part of growth is like a dark cloud. Do you remember when I said that personal transformation is not easy? I said that because it is quite easy to read a book, listen to tapes, hear all kinds of wonderful people speak, and keep it all in your head but not integrate it into observable action. When I asked you to remove yourself completely from any person who is the source of any abuse, I bet you felt fear. This is natural. It does feel scary, and it is not easy to walk your talk. But you bought this book so that you could engage in personal transformation, not so that you could simply read paragraphs of airy-fairy affirmations and tidbits of useless inspiration. When you feel something negative deep inside, this feeling is your dearest and best friend. This feeling is letting you know that such-and-such is not okay. Once you notice how you feel, it is up to you and you alone to become your own best friend and move away from whatever or whomever is causing you pain through verbal, mental, emotional, or physical abuse. The fear is like a big dark cloud in the sky. It may look and feel terrifying; I know because I have been there too. But once you take your first step away from the source of abuse and into your truth, personal alchemy and authentic empowerment begin to take the place of fear. All of a sudden, as a result of your positive actions, you notice rays of sunlight peeking through the dark cloud. You realize that you will be okay; in fact, you will be better than you ever were before. Now, on the next couple of pages, I want you to pretend that you are fearless. I want you to write down-as if you had no fear at all-what you would do to take personal responsibility to transform yourself and your life by moving completely away from any past or present abuse. Please write this list. You are almost there! Now please re-read the list you just wrote. Great! Now I want you to hold in your mind a picture of this new and empowered you. This is the real you beneath the fear! This is the you that your heart and soul have been calling out to for so long, via pain, to get you to notice so that you would transform yourself. If you are feeling petrified of moving into your truth, it would be wise to seek professional therapy or spiritual counseling from someone who specializes in authentic empowerment and personal transformation as well as abuse. It is not only good, it is vital to have a trusted support system when you are undergoing crucial personal transformation. If you begin the process on your own but then feel stuck, having a support system to turn to only makes you a stronger person. If you feel you can take the last steps you wrote without any professional support whatsoever, then this is fine, too. Do it whichever way you can while bringing no harm to yourself or anyone else. This is your lifetime, your time for creating personal transformation that is meaningful, true, and lasting. This is your time to notice all you have put up with and dare yourself to become so much stronger, your time to watch yourself transform and reach the other side of the challenges facing you-because that, Dear One, is why they are there. The challenges are in front of you so that you can summon your inner truth and courage, and moment by moment, either with or without professional help, face those challenges and overcome them at this time. You wouldn’t be reading this page at this time if it was not the time to begin the process you have spent eons trying to begin, the process of transforming and coming into wholeness. Now the process is in front of you. You wrote down exactly what you would do if you had no fear. I can guarantee you that as you move through your actions into your full truth, you are going to feel and be transformed. Please remember that all of us who undergo personal transformation cry and feel terrified inside as we face our truth. I certainly did. But if I could do it, you can do it, too. You can follow the process by using this book and your lists as tools for personal growth, spiritual growth, and inner transformation. In the process, through self-love and truth and the strength to carry out your actions, you will see a remarkable difference in your life now and for the rest of your life. You have a friend in me, and I honor you for coming into your truth and discovering the real strength you have beneath the fears, strength that will see you to the other side of this situation, as you transform yourself into wholeness, radiance, and supreme confidence. Chapter excerpt © Copyright by Barbara Rose, PhD All Rights Reserved from the book Know Yourself: A Woman’s Guide to Wholeness, Radiance & Supreme Confidence. Published by The Rose Group (January 2005) ISBN-10: 0974145742. 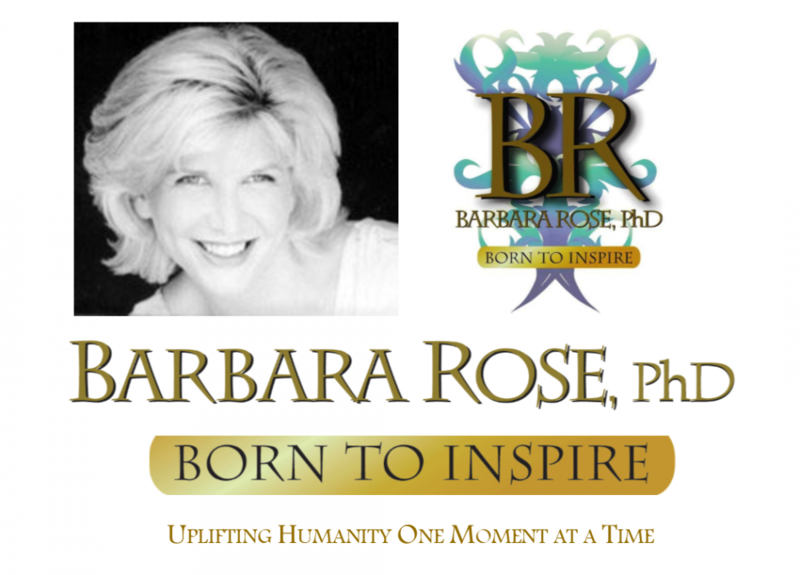 This entry was posted in Browse Pesonal Growth, Exclusive Book Excerpts and tagged Barbara Rose, Bestselling Book Know Yourself, Healthy Boundaries in Relationships, High Self Esteem, How to Have a Backbone, Know Yourself, Leaving Abuse, PhD, Self Esteem, Self Love, Solid Sense of Self by Barbara Rose, PhD |Born To Inspire | Bestselling Author| Life Transformation Expert. Bookmark the permalink.